Stem cell therapy has been a joint pain treatment option over the last two decades with overwhelmingly positive results in humans, horses, and dogs alike. This significant advancement in the medical field has allowed those who suffer from arthritis and other chronic joint pain to find pain relief without surgery or the need for long-term medication use, and allows pain suffers to return to their lives! 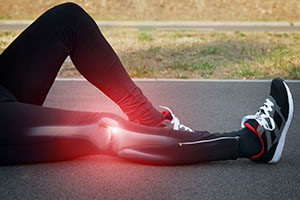 But, how does stem cell therapy help the joint pain? Stem cells are injected directly into the joint that is affected by arthritis or chronic pain to help your body repair itself. This means that stem cells don’t simply fix your painful symptoms, but treats and corrects the source problem of your pain! Stem cell injection for reducing inflammation works in two different ways at the same time to completely eliminate joint and tissue inflammation. First, the stem cells are armed with anti-inflammatory properties like cytokines. Cytokines are small proteins that affect the relationship and communication between other cells and tissues. They are involved in nerve inflammation and also have an impact on the sensation of pain. Additionally, the injection of stem cells provides lubrication to the affected joint. This lubrication helps to reduce friction and reduces inflammation caused by irritated tissues. Reducing swelling of joints and the tissues around them has a significant impact on how well the joints work and the level of pain. Stem cell therapy can be used to manipulate the growth of new tissues. Stem cells are able to diversify into nearly any body cell, including bone, muscle, tendon, ligament, and cartilage. For those who suffer from arthritis or chronic joint pain caused by an injury, most of the pain is caused by a reduction in cartilage, which acts as a buffer between bones. By injecting amniotic stem cells into cartilage, the cells can develop into healthy cartilage tissue. Stem cell therapy is used to help accelerate the healing process in injured areas of the body. Because stem cells are premature cells that have not yet developed, they are packed with growth factors and regenerative properties that allow them to develop into whatever cell type they are to become. It is these properties that help promote growth and healing in the cells around them. By injecting stem cells into an injured joint cavity, these natural growth factors and regenerative properties are dispersed to the surrounding cells, which accelerates the healing of damaged cells and allows the stem cells to regenerate into whatever cell type is damaged. Stem cell therapy has significantly advanced the way that arthritis and chronic joint pain is managed and treated. Stem cells offer an all-natural treatment option that helps patients avoid surgery or chronic pain management. Stem cell injections are done on an outpatient status in our office and require no downtime! 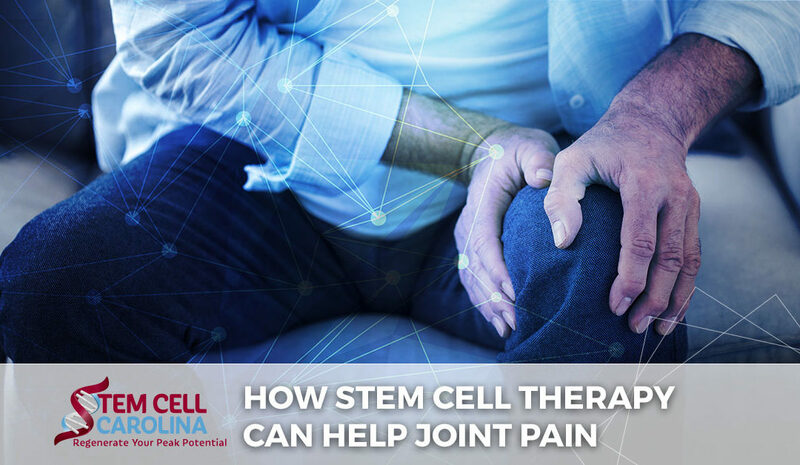 If you or someone you love suffers from chronic joint pain or arthritis, contact Stem Cell Carolina to discover your stem cell treatment options!